With the very rapid and constant growth of the global eSports market and the gaming laptop market has been growing as well. 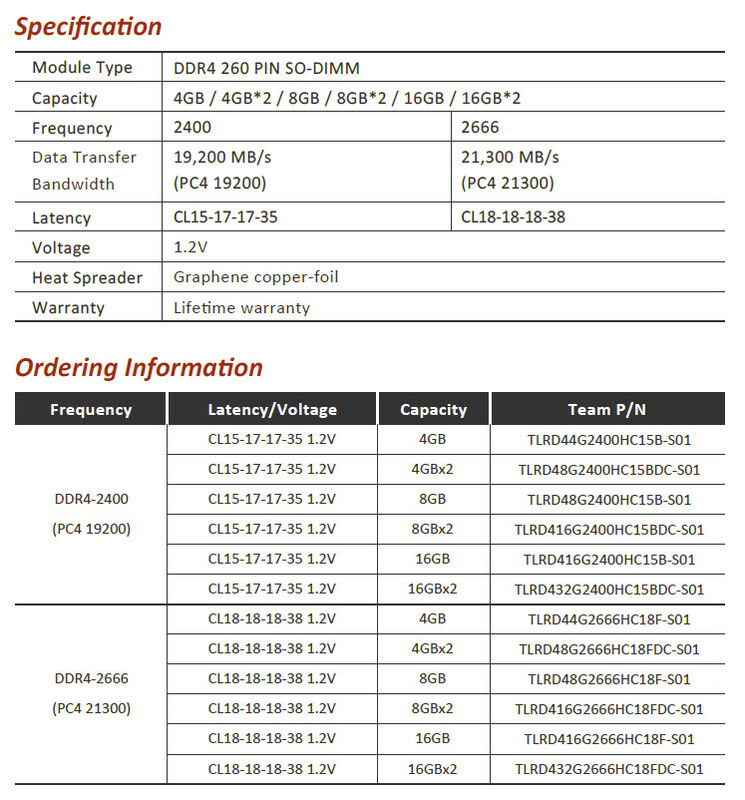 TEAMGROUP’s gaming brand, T-FORCE releases the Vulcan branded DDR4 3600 MHz memory module for gaming laptops. The clock is as high as the maximum performance of DDR4 3600 MHz. The capacity of the memory module is up to 32 GB (16 GBx2), which allows gamers to retain the high-speed performance they want and keep a stable system during gaming marathons. The T-FORCE series has swept the gaming world ever since its release. 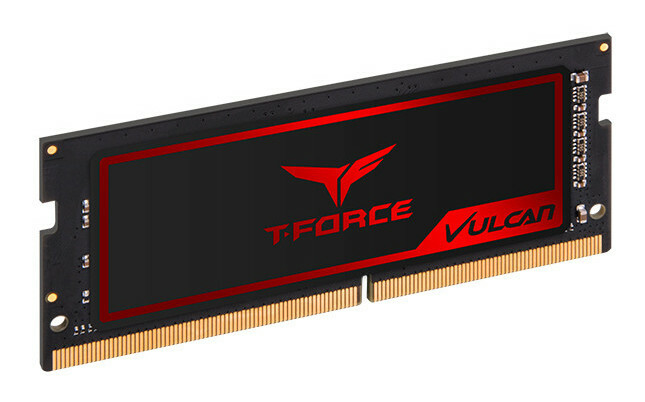 To meet the different demands for high end gaming equipment, the T-FORCE series today releases the exclusive memory module T-FORCE VULCAN for gaming laptop. It not only supports the 8th generation Intel Core processor, but it is also used on Intel NUC platforms. After their team has tested different combinations of different proportions of graphene and copper foil, the lightweight and thin graphene copper foil heat spreader design is tailored for these kits created by the R&D team. Long and rigorous internal laboratory test and burn-in test offer an outstanding 6% of cooling performance. In a closed space, The Vulcan kits can maintain stability in low airflow situations and still offer high performance at the same time. The heat is transferred out efficiently to ensure the computer can still offer high performance with speed and stability under high-speed operation. It is definitely the best choice for a gaming laptop and mini PC. T-FORCE VULCAN’s ultra-low working voltage not only reduces electricity consumption and extends gaming laptop’s battery life, but it can also reduce the heat generated by the operation of the system, so the system will not be unstable because of the high temperature. It also supports auto overclocking function. To immediately enjoy T-FORCE VULCAN’s high-performance experience, all it needs is to install on a DDR4 SO-DIMM system that supports overclocking. From now on, say goodbye to the complicated BIOS overclocking settings, and overclock in an easy and smart way.